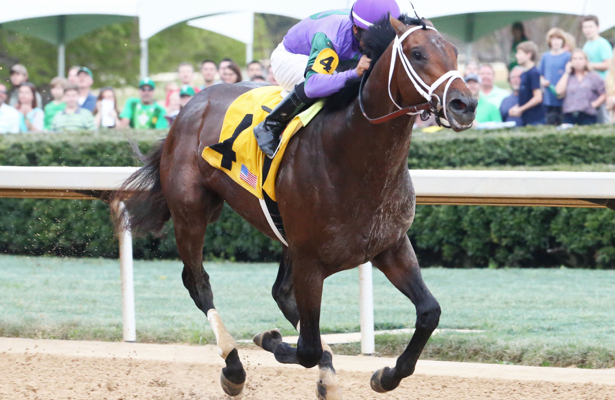 It's hard to not be impressed with Magnum Moon’s victory in Saturday’s Grade 2 Rebel Stakes at Oaklawn Park. The son of Malibu Moon did everything right, just as he has done thus far in his short career. First and foremost, he handled a nice field, topped by multiple Grade 1 stakes-placed Solomini. He did so by rating kindly off of solid splits, set by Title Ready, before making a decisive move around the turn, then finally drawing off in the stretch. The final time was a sharp 1:42.68, and Magnum Moon managed to finish his final 1/16th in a swift :06.29 seconds. The numbers also came back well. He earned career best figures from Beyer and Brisnet, notching a 97 and 100, respectfully, along with a 109 Equibase figure, and a 121 TimeformUS figure. All compare favorably with the established top Kentucky Derby prospects. But when it comes to Solomini, my excitement for Magnum Moon pretty much matches my disappointment for the Zayat Stables runner. He did encounter a good deal of trouble, but once he managed to get off the rail, he failed to switch leads (something he was having issues with in workouts leading to the Rebel), and simply lacked the needed kick to finish anywhere close to the winner. For a horse of his hype and stature as a juvenile, I was expecting to see a more mature runner at age 3. It is possible Solomini could have needed the race, but he is going to need improve quite a bit to get anywhere near the top of this class. If you didn’t get a good feeling when watching Martini Glass win her second consecutive graded stakes race in Oaklawn’s Azeri Stakes (G2), you might just be dead inside. The 5-year-old daughter of Kitalpha had shown promise through her entire career, and last year she got painstakingly close to breaking that graded stakes barrier -- one of those against Songbird, no less -- but she never could quite get to the wire first. However, things have changed in 2018, and it seems like Martini Glass is finally setting herself up for a banner year. After a third in her 2018 bow, she came back to win Gulfstream Park’s Royal Delta Stakes (G3). On Saturday, she proved that her Gulfstream performance was no fluke. After stalking a quick pace set by 2017 Kentucky Oaks contender Farrell, she pounced to the lead before drawing away for a three-length score. Martini Glass may not be as domineering as Unique Bella, or even Saturday's Grade 1 Santa Margarita winner Fault, who switched from turf to dirt successfully. But she is as honest as they come. I can only wish her continued success in 2018, and hope that she can breakthrough to finally earn that Grade 1 that eluded her last season. After finishing behind the likes of Runaway Ghost, Zatter and St. Patrick’s Day, a full brother to American Pharoah, the Jerry Hollendorfer-trained Jungle Warfare seemed to have fallen off the map. Rest assured, the son of Animal Kingdom didn’t. He was just switched to turf for four tries, where he continued to finish respectable seconds and thirds, until the weather intervened, and his race was moved from the turf course to the main track in this past Saturday’s opener at Santa Anita. It was there, in his ninth attempt, that Jungle Warfare finally broke his maiden. I know: How can I possibly be excited about a 3-year-old who took nine tries to break his maiden? The answer is simple. I believe he was the unluckiest non-winner running. He ran into future stakes stars in three out of his first four tries, before the switched him to turf, where he either encountered wide trips, troubled trips, or both. With this win under his belt, I’m hoping that all that trouble is behind him. The field wasn’t spectacular, and neither was the time, but with Hollendorfer at the helm, and his maiden out of the way I feel like we could see Jungle Warfare step up to wreak some havoc later on in the summer and fall stakes. Laura Pugh got her first taste of Thoroughbred racing when she watched War Emblem take the Kentucky Derby and Preakness Stakes in 2002. At that point, she fell in love with the sport, reading every piece of news and information she could get her fingertips on. Laura has a long history with horses in general, taking her first ride on her fifth birthday, with her first official riding lesson when she was eight years old. Both years she attended college, she joined her school’s equestrian team, first at Virginia Intermont College and then again at Delaware State University. Unfortunately, after back and shoulder injuries, she had to hang up her saddle. 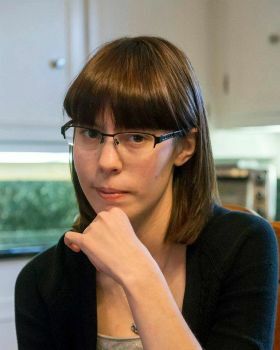 In 2010, Laura began writing for Horse Racing Nation and has also contributed to Lady and the Track, TwinSpires and USRacing. She currently works at a local newspaper as a community reporter.